Sales brochure page for the 1962 Volvo 544 printed in Sweden but for the United States and Canada markets. 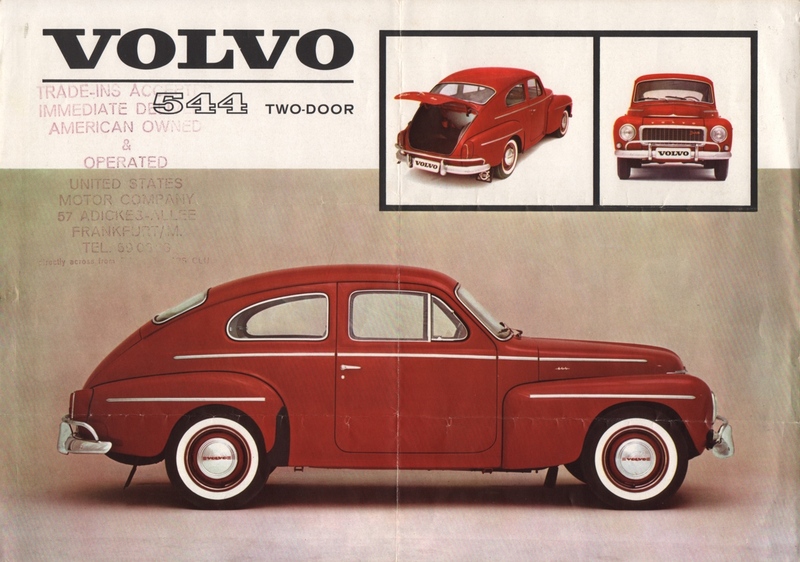 A Red 1962 Volvo 544 two-door is shown on the front page with specifications on the back page. Under the hood is a 90hp 1.78L 4-cylinder. Brochures are presented for research use only. Company marks, emblems, and designs are trademarks and/or service marks of Volvo.